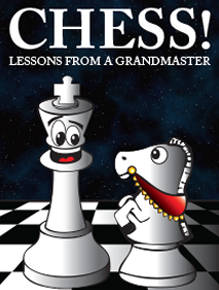 On Feb 22nd 2014 one hundred thirty eight chess players competed at the 6th Annual Hough School Chess Tournament where 100% of the proceeds was donated to 2 long standing charities adopted by the program. Thirty volunteers including GM Shulman and the Chief Tournament Director Jeff Weiwal donated their services. Almost $7000 was raised to benefit a little girl named Meher’s education and to provide support for the Maggie Gruber Computer Center. Another 300 people approximately visited the event. The concept of accomplishing goals towards a common purpose motivated youth to create opportunities to raise funds. Eleanore van Marvijk Kooy, one of the CEO’s for the event cleverly designed a raffle with cash prizes to help raise funds. The other two CEO’s Jeevan Srivastava and Prathik Kandimalla joined in and went door-to-door in the cold employing their marketing skills to sell raffle tickets. A big draw was our award winning Gourmet cook Zein Bertacchi and her sister Rima Said from Jordan serving and doing a live demonstration of Middle Eastern food. 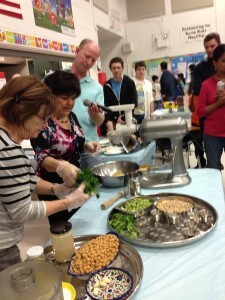 Beth Johansson who came especially for the cooking lesson with her sister said, “I am going home to make this today”. Volunteer Accountant for the day, 14-year-old Toby Schwartz said, “ I can barely keep up with taking the money from the sales of the Falafel orders”. There were many other youth and adults helping with the food sales including Toby’s parents who worked relentlessly to make pizzas and hot-dogs as well. Peter Chytia from the MacArthur Foundation whose son was playing in the tournament worked hard with volunteer Russel from BHS to help with the technology at the event. 16-year-old Lindsay and her younger brother Zach Green helped score the results and “barely had time to get out of their chairs” because 5 rounds of matches are held with many sections at the tournament. Based on the scores their next opponent is decided by the computer. These results are then sent to the US Chess Federation to determine the ratings of each chess player. This was an official US Chess Federated tournament. Chess Tournament such as this one at Chess Without Borders become a celebration of achievements as chess players gather their USCF ratings, collaborate as workers, expand their experiences and express themselves artistically to raise funds for other children like themselves who have few opportunities in life. On the basis of these long standing projects three high schoolers, Lindsay Green, Millen Srivastava and Varun Ahuja will represent Chess Without Borders at the UN Youth Assembly in New York this summer. Three students also received the Presidential Volunteer Service Award from the White House because of their volunteer work over the past year with Chess Without Borders. These students were Ethan Gagliano, Peter Abrahamson and Bryce Cai. This event has a tremendous impact on our students here in the US as chronicled in this article and in India for children living in the slums of Delhi. Perhaps Principal of Grove School, Dr Kalogeropoulos had this vision when she allowed her student Rishi Sethi to start a chess club in 1999. Rishi Sethi runs his own Data Insights Company in New York thanks to all the life lessons he learned from the District 220 Schools.